Sometime, in late May 1945, a German submarine, the U-196 arrived off the beach near Dargaville, Northland. Immediately following the German surrender on 8th May 1945, Hitler’s designated successor, Admiral Doenitz, ordered his secret submarine flotilla to sail to designated enemy ports, in exchange for Germany’s continued participation in any post war nuclear weapons program. 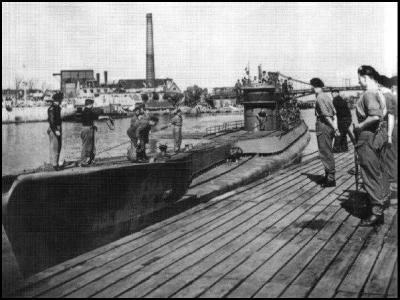 U-234 arrived at New York Harbour on 17th May 1945, carrying weapons grade uranium-oxide. U-196 arrived in Northland, New Zealand, with a similar cargo, one that promptly vanished, and the submarine scuttled. However, as fate would have it, U-196 was located 60 years later by the Underwater Research Group, while conducting a routine dive, raising more questions than answers. What was the U-Boat doing here, and what happened to the crew? After nearly a year’s research, and cutting a path through much disinformation, author and commentator, David Child-Dennis will present his theory, and conclusions, about what happened to the crew and why they were here. What started out as the discovery of the body of a German SS officer, in a shallow grave near Dargaville, has uncovered a global project of immense importance to all of us. This is one talk you will not want to miss. Find more from Uncensored Magazine on InfoPages.